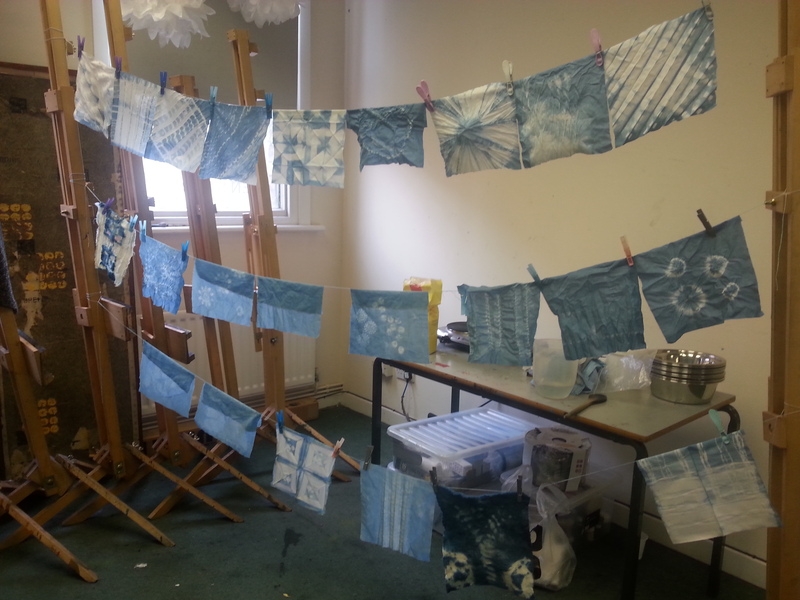 On this workshop I’ll be introducing you to indigo dyeing, print and patterning on fabric. In this fun-packed, friendly day, you will learn all about the magic that is indigo dyeing! Try your hand at solid colours, overdyeing, printing, resist and simple shibori techniques on fabric. I’ll also show you how to set up a simple indigo vat at home. The aim of the day is to have a taster of a range of techniques rather than an in-depth session on a specific topic and it’s all very straightforward and easy-going. At the end of the day you’ll have a lovely set of your hand-dyed fat quarters and a hand-dyed tote to take home, perfect to incorporate into your quilting, patchwork, textile arts and mixed media projects. This course is suitable for complete beginners as well as for those who simply want to brush up on their skills. All materials including dye, fabric and a tote bag are provided as part of the workshop. To make your booking, contact Black Sheep Wools directly.